Why we love our Chevy Tahoe. I love the size of my Chevy Tahoe and all the space to haul things in it when needed, or using the third row seats for passengers. It rides wonderful, and I really like being up high when driving it as it provides better visibility. We can pull a boat, trailer and anything with it, which is very handy. We have owned this car for 11 years, so we have experienced some issues with it but have always repaired them because we love the vehicle and its versatility so much. I would buy another one if this one ever gets beyond reasonable repair! Mostly reliable but noisy. Chevy could Focus more on the details. It is been a fairly reliable considering its age. I did have to have the four wheel drive transformer fixed due to an engineering error on Chevrolet's part. Apparently, there is a little oscillator inside that slowly wears a tiny hole in the transformer which then leaks fluid and the whole thing needs repair. That was a $1,000 fix. I have also had issues with water from the road coming up inside of the foot area. I was driving in heavy rain and suddenly realized my foot was soaking wet. Still not sure what is causing that. My vehicle doesn't get the best gas mileage. It also has had a bad instrument cluster which I have replaced. The replacement cost is about $350 after the core charge. The tahoe is also bad about the fuel sensor going bad and is about $600 to replace. The light bulbs are also bad about burning out. From what I understand, this is a long known issue with GM products. Over all, I love the vehicle. My truck does have over 200,000 miles on it but mechanically still runs great. 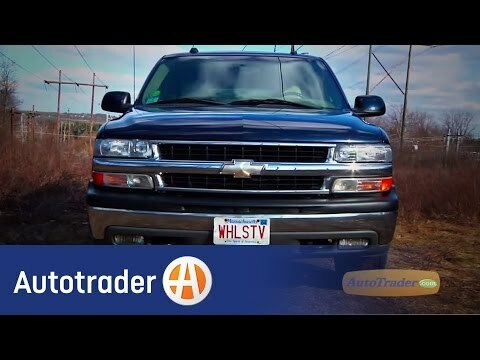 04 Chevy Tahoe, a good daily driver?? ?